Alyc Helms did her graduate work in anthropology and folklore, which makes her useless for just about anything except writing. 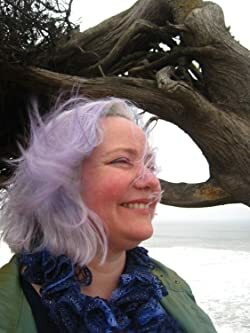 She lives and writes in a dilapidated beach bungalow outside of San Francisco, near a horse trail, a troll bridge, and a raptor preserve (hopefully, the veloci- variety). The Dragons of Heaven is her debut novel. CLICK HERE FOR MORE BOOKS BY ALYC HELMS. 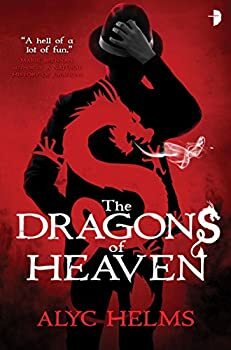 The Dragons of Heaven (2015), by Alyc Helms, is a rowdy festival of fantasy genres, expertly managed by the writer. 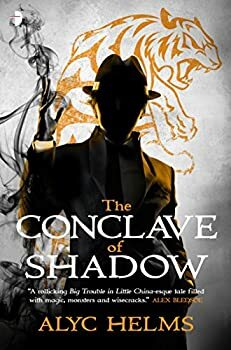 You’ve got an urban fantasy set-up with the caped-heroes angle; you’ve got Chinese folklore, dragons, shadow realms, and conventional magic; and also, for part of the book, a family saga. It’s an exciting, eclectic read.